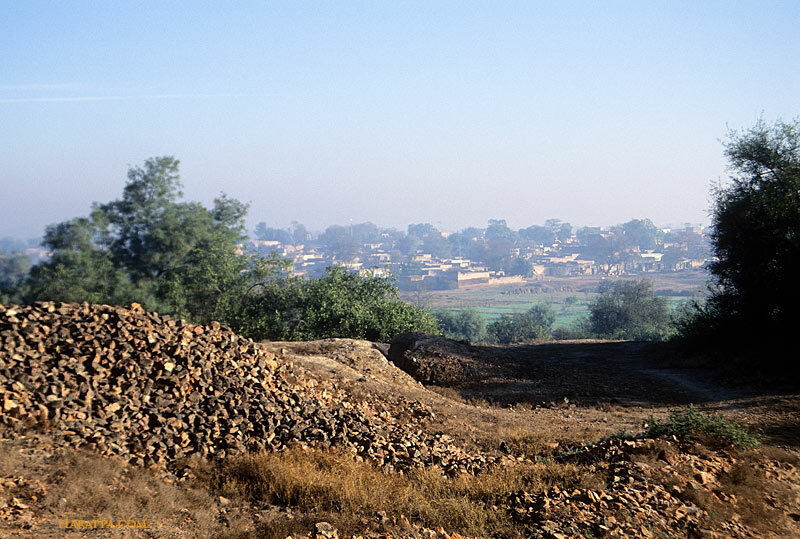 In the distance, the modern town of Harappa survives on another set of mounds. During ancient times they were separated from Mound AB in the foreground by a river channel. Archaeologists suspect that those mounds were also first settled in ancient times, but no excavations have been carried out there.